Dental crowns restore chipped, cracked, or rotted teeth preventing tooth loss. Restore your smile With Dr. Givan in Ft. Worth. Missing, chipped, cracked, or broken teeth can ruin your perfect smile. Many people avoid restoring their teeth with crowns and bridges because of the pain and time commitment. However, Dr. Mark Givan is a skilled, professional who utilizes the most up-to-date technologies and therapies to restore your smile in as little as two visits. Don’t live with cracked or missing tooth,call today to schedule an examination with our knowledgeable staff in Fort Worth, TX. Dental crowns are a restorative dentistry treatment to replace cracked or missing teeth. If you have lost all or part of your tooth or have a severely decayed tooth, a crown can be used to protect the existing tooth from further damage, and return chewing and pronunciation abilities. Gaps caused by missing or partial teeth can cause dental drift (teeth shifting in mouth), decreased gum tissue and jawbone density, and misaligned bite. It is essential to long-term oral health to retain your natural bite whenever possible. Crowns allow the replacement of chipped or lost teeth which helps you retain your facial shape, bite health and gum tissue. Crowns also restore the appearance of your teeth leaving you with a beautiful smile. If you need a crown, Dr. Givan will treat and examine the affected tooth or teeth. If you are able to retain part of your tooth, a stand-alone crown will be designed to cover the partial tooth. If you need one or more full teeth replaced, our staff will create a customized crown that will be attached to surrounding teeth using a dental bridge. 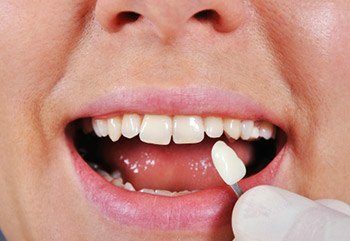 This process will take two visits because the crown has to be customized for your bite, but it is worth the wait and time investment to have a natural looking and feeling replacement tooth.